Why Do We Dream The Same Thing Over And Over? Having a great day at the park, I go home fully refreshed and happy only to go to bed and dream the same disturbing dream once again. There is no reason for it. Nothing has triggered a bad memory. Nothing is bothering me. So Why do I dream the same dream over and over again? There are various scenarios in dreams. If we are worried about a partner, or family member we may dream that we are lost or helpless in some way. Sometimes we dream that the car is out of control or we can't find the brakes. Those are pretty obvious dreams. They can be literal or metaphoric. The car may have had a small problem that day and our subconscious minds tell us it could have been worse. Or metaphorically we may feel out of control. But to constantly have the same dream for no reason is puzzling. Maybe our dreams are trying to tell us something much more important. Many years ago, I lived in a horrible halfway house. This was because I moved out of my area and wanted a council house, or social housing. 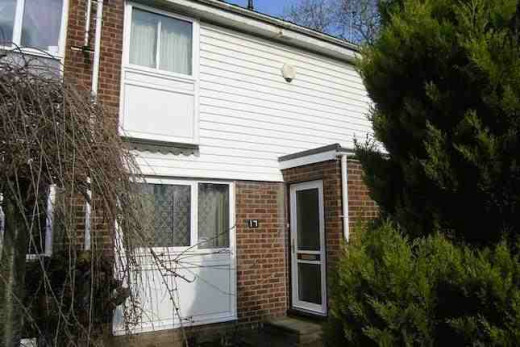 Back then the council would move people into something that I could only call appalling housing. This was an old army training camp! 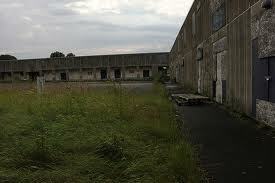 The outside looked like the army barracks, surrounded by weeds higher than the roof. The area in front was broken concrete and weeds. The inside of the 'house' was on one level. A very narrow passage with whitewashed walls over brick led to one room with a concrete floor, broken window sills and an old fire grate that had to be opened, stacked with wood then closed until it burned so that the smoke wouldn't choke us. The bedroom was like a prison cell. White washed walls once again, painted over bricks. There were spiders crawling all over the ceiling, coming from a hole in the roof. As you can imagine, it was a total nightmare. No wonder I had bad dreams back then. These days it wouldn't be allowed. But why, 30 years on, am I still dreaming about it? Army Camp Similar To Our House. Ours Had Curtains! commons.wikimedia.org Similar to my house. I have lived in my present house now for over 20 years. Its in a lovely area, back where I was born. But still, night after night I dream I am back there in that hovel. My rent is secure. I am safe. I know even if we were kicked out we would be put somewhere nicer than that horrible cell like house. Why does my mind keep churning up the picture? I believe there are many different reasons why we keep repeating the same dream over and over. dreams no mortal ever dared to dream before. Sometimes in life we live through scenarios that at other times we would balk at the idea of it. The brain is a funny thing. It lets you know that you can cope with horrible situations, but what its really doing is storing it away so that it doesn't constantly panic us by rushing through to our conscious mind. To cope, we learn to live with the situation, and after a while believe that actually it isn't that bad at all. But underneath it has been pushing the thoughts deep down until they are firmly embedded into our memories. The question is, why that dream in particular? There have been many situations over the years that, looking back, I am surprised that I coped so well. So, what was it about that hidden memory that makes it so nightmarish? They say a cluttered house makes a cluttered mind. Or vice versa. Like a crumbling psyche, the house in question was falling down around me. The walls were too close together, making me feel trapped. The greasy walls felt alien to me, and as they became damp with condensation they felt clammy to the touch. As our minds do when we feel feverish. Waking in the night to check on my baby, I noticed a dark mass on the ceiling. Reaching for the light I saw that the mass was in fact hundreds of tiny spiders crawling above my babies cot. This is the stuff of nightmares, but it was real. After my husband killed them, we got back to sleep, eventually. Each day for over two years, I would check out the cupboards or under the bed. The building itself felt sick. The toilet was creaky and old, the cistern leaked. I never felt safe. The house was a dreaded enemy. Eventually we were moved to a real house on a real estate. The meaning behind the dream shows me that the house is a symbol of my mind at the most vulnerable. Even though I was happy in the day, something tells me that I am always aware of things changing. I have lived through some pretty hard times as we all have. Even though I don't believe that it was the worse time of my life, the vulnerability of living in these conditions spill over into my everyday worries. 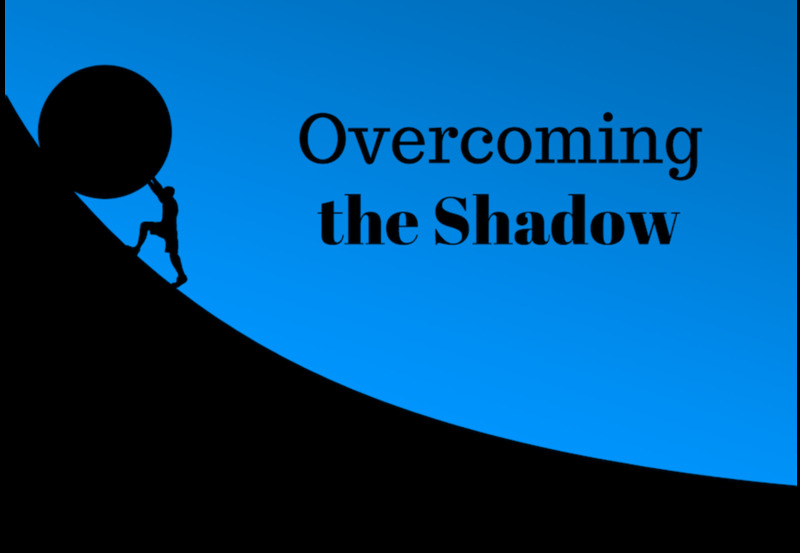 Even though we tend to be happy on the outside, sometimes our subconscious minds churn up all the fear, hate and stress that is always under the surface. The slimy walls of the house were my feverish moments of panic. The harsh bright lights shining on the start walls were translated into my being in the spotlight and wanting to hide. The spiders on the ceiling speak for themselves, and I constantly dream I am in a cave full of spiders. But these in themselves show that I have many phobias and worries. And of course the most important one, the fact that I had a tiny baby shows that I felt that I couldn't protect him properly at that time. Maybe its in the tone of my sons voice when he phones. If I feel he is happy then I don't dream, but if he feels down or worried then the dream emerges. Either way, its not pleasant, but at the same time it shows how far I have come. Our dreams are always there to tell us something. We only have to look. Dreaming of a tidy house is equivalent of a tidy mind. 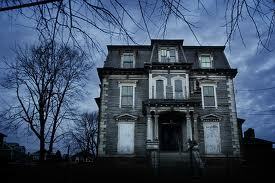 The more derelict the house the more you suffer from phobia's, OCD and mental problems. To dream of the Attic is another way to see whether your thoughts are in order. If the attic is cluttered then the meaning shows that you are taking too much on board. You need to clear your mind and try not to worry about every little detail in your life. Cellar - To dream of the cellar means that you are carrying around a burden or burdens that you have tried to forget. If you are descending the stairs it shows that you are ready to deal with those problems and get them out into the open. Dreaming of a spooky house can mean a number of things. If the house really does look terrifying and you really don't want to go into it, then there is something in your life you are avoiding. The house is the barrier to that problem. By opening the door and entering the property you are showing that you can face the ordeal that you dread. Of course it can also mean a forgotten memory of something that happened to you in the past. The house may look inviting, but your fear of it makes it seem ominous. To run away from a house tells that you are not ready to face your demons. To walk around a spooky house tells you to take notice of the things that bother you. Each and every piece of furniture, picture on the wall and even the doors into each room show you a symbol of a memory. Does the old fashioned chairs remind you of childhood? What happened back then? Do the pictures on the wall remind you of someone? Take note and try to write it down when you wake up. If you can put a memory to each piece then you may find the key that started the bad dreams. 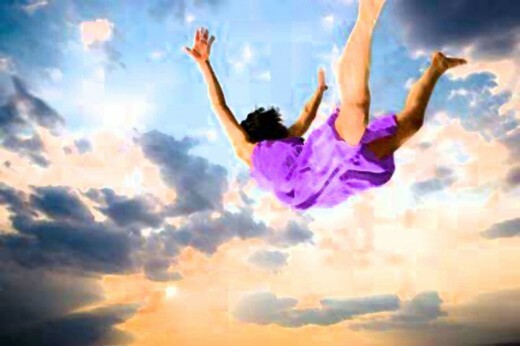 Do You Have A Recurring Dream That Disturbs You? No, never I sleep like a baby! My dreams are always happy ones. Do You Have A Dream That Disturbs You? Please Share It Below In The Comments. Sleep paralysis affects many people around the world, but is it a normal phenomenon or psychic event? What Do Stars Mean in Dreams? Hi Silva, lol! I would say that it shows your personality. On the surface you are mentally happy and bright, but there are times when you feel that you can't cope, or you are disappointed in the fact that you have'nt achieved something. and so on, if you can resolve that then those rooms will be nice like the others, in other words its stuff you haven't done, can't do or feel regret that it didn't work out, lol! sorry, I go into psychology mode, as I trained many years ago, but never actually went on to do it! Hi Nell. I love this hub. I had a recurring dream for years and years and it finally just stopped (no idea why). In my dream, the house was the main character. It was always the same one. It was beautiful, seemingly perfect in every way. First the entry (gorgeous, full of light) then straight back through the family room and into a dream kitchen. Back to the entry, to the right, a delightful master suite, Japanese style, lots of large plants and a private patio off the bedroom. But! Back to the entry and down a hall to the left, several bedrooms and bathrooms on either side, and all the bathrooms were leaking, plaster falling off the walls, all in terrible shape, and I remember thinking that I had no place for company to stay until all the bedrooms and bathrooms were repaired. Frustrating dream, went on for many years, I just hated that dream. So relieved when it finally stopped. A therapist would probably pinpoint exactly what the meaning of this dream is. Probably that I just don't like company? Haha. This is very interesting! I have a recurrent "venue" in my dreams, same scene same place but different people. Sometimes I am running away from them, or hiding from them, sometimes we are just walking and having a conversation. Do you have any ideas what this could mean? Hi Jo, yes it was pretty horrible back then, great to see you, hope all is well? You are so welcome and keep up the great work! Hi Vellur, thanks for reading, I remember mine in vivid detail! sometimes when I wake I have to think where I am! lol! Hi kenneth, thanks so much, and great to see you! I hope you have a wonderful Christmas! Nell . . .great work. Like I have known and said for a long time, you are a terrific writer and person. Merry CHRISTmas to you and yours. What a cool hub!!! Always wondered about this! Great hub, an interesting read. Dreaming about a house has so many meanings to it. I wish I could remember dreams, I always get up with a feeling that I had a dream but I can never remember. Thanks Nell that really puts my mind at rest. I keep on having a recurring dream where I kill my great-grandmother by setting fire to her room, I won't go into details but by the end of the dream I'm outside teaching fire fighters trying to stop the care home from burning down and then I realise what I had just done and wake up. My great-grandmother's death had nothing to do with fire and she died peacefully but I keep on having the dream felling like I was responsible for her death. Also due to the dream I have a slight fear of fires and can react badly if I'm close to one. Great hub Nell hope you continue with this great quality. Wow Nell! This was totally fascinating! I have had re-occurring dreams about Fire for some time. I wrote about it and the dreams stopped. This was very interesting to read. 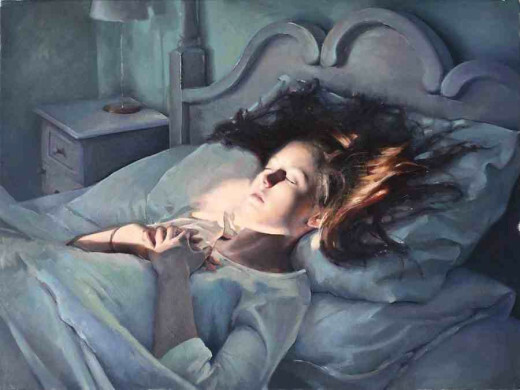 I've not had any recurring dreams at all in my adult life, but as a child, I had one such recurrent dream that was very disturbing to me (at the time), and also very mysterious. I used to dream that I went into my room to read, sat on the edge of the bed, and the next thing I knew, bats were coming at me from the upper corners of the room, surrounding me, and landing on my book, blocking the page from view. Hi Koffee, I am sorry to hear that, obviously its something that you need to resolve, maybe talk to somebody? or even act out a scenario where you are telling your ex exactly what you really wanted to say, maybe that will help, good luck and thanks Koffee. This was a very interesting subject. My reoccurring is me sitting on the edge of the bed waiting for...I'm no sure who. I am shaking and tears are running down my face. I m in my late teens and I am defenseless. Ihave some idea that it is connected to an abusive ex. It's been going on for many, many years. I love getting comments from obviously insanely stupid people who write a comment for no reason at all and it means nothing! see the one above? obviously to stupid to realise this is not facebook! And by the way? if you think you are being clever, just remember, the more you comment, the more I get paid! HAHA! I missed this when you first potesd it because it was my birthday (and your mother's, right?). Today, it strikes just the right note. Today, I'm joining the local gym and starting regular workouts again. Thanks, Sandy. Hello Nell, do you interpret dreams? I really need someone to tell me what some of my dreams mean. Like the one last night. I dreamed that I was walking in icy water. Hi suzette, yes me too! its so strange isn't it? maybe something triggers the dream again, something that you did or said that was the same as before maybe? thanks suzette, glad you liked it. Thanks Mike, you are right there! HI pages, yes that's probably right, our dreams try to explain things or put things to rights, strange though aren't they? thanks. 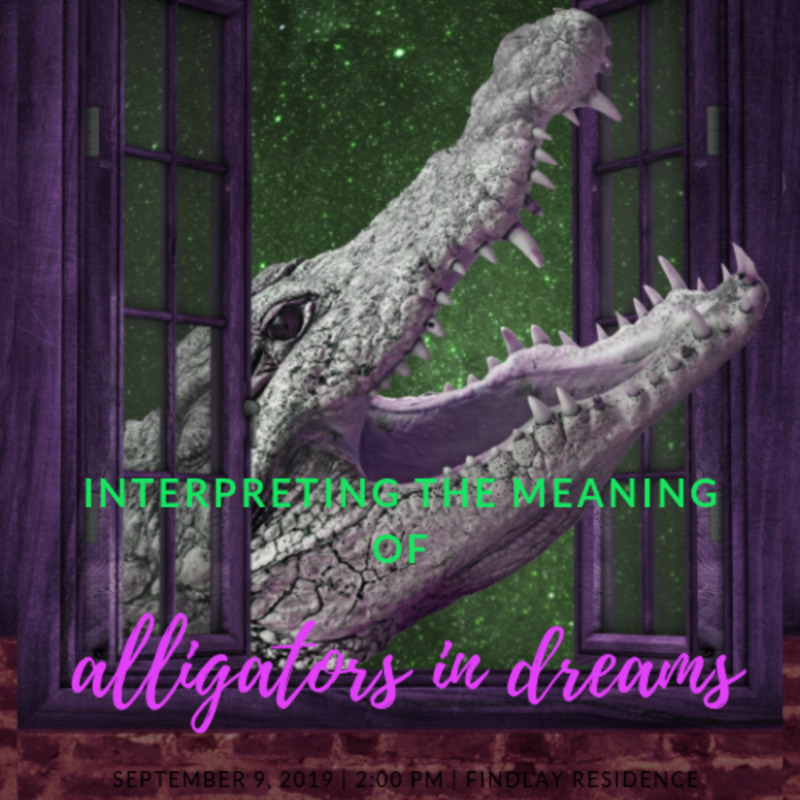 Good analysis on dream interpretation. Voted up interesting! It's funny that you mention spooky house, I had a dream one time that I was in a foreign place. I had arrived alone. There were only bushes around and an old abandoned house. I remember shouting hello, is anybody there several times? And so I entered at my own risk with a flashlight and everything. As I am walking upstairs, I noticed the reflection of a shadow through a rhombus shaped mirror. I started to run really fast up the stairs inspecting everything around me: portraits, antique objects all over the place. the man in black followed me to one of the rooms and closed the door. talk about freaky. later on we ended up sitting on the bed and just talking as if we had known each other. Maybe the fear of the unknown, but since I did enter the house could mean that I was ready to face my demons. Sorry for my ramble, but I wanted to say that sometimes I've had the same recurrent dream occurring. you might think this is weird but sometimes I dream of more than one thing and I can visualize people and events vividly. I've also had very passionate dreams and when I've woken up it has felt so real even woke up with tears in my eyes once. Dreams are so fascinating I think because we simply don't have any concrete answers to them. I too have the "no brakes on the car" dream. That one scares the heck out of me. I also have a recurring dream of my grandmother's house with an attic. Her house didn't have an attic, but in the dream there is an attic with sofas and a back entrance to the street where homeless people come in and eat and rest. I guess I have this dream because my grandmother would give the shirt off of her back to anyone in need. Voted up and ++++. Fear seems to be such a strong force in life! Great hub! Nell, this is so interesting. I have never dreamed about a house other than in my dream I was inside or outside of a house, but the house was never the main character of the dream. That is so interesting what you have said about dreaming of houses. Do you ever dream in a series or a dream 'to be continued?' In my adult life this is how I now dream. I will have a dream, but wake up before it is finished. Then days, weeks, months, or even years later, I will dream the next segment of the dream. And, I remember the first dream like it was yesterday. This doesn't happen with every dream I have, the some are like a never ending soap opera. You are the only one I would explain this to. LOL Thanks for another interesting and informative article. I don´t have a reoccuring dreams but a kind of episode dreams. My dreams continue but not at once. It sometimes continue a few days or months and it´s weird. Thanks for sharing. Voted up and shared. Hi Nell, sorry to hear that you lived in a place like that and dream about it. My grandparents house was two log cabins connected by a porch, but it was clean. I have a dream that I dream a lot. It is about a leaky house with a roof that looks like it will fall in with a cellar full of cats. Then I am in a cave and trying to find my way out and the gets smaller and smaller until I am crawling. Interesting hub, Nell. I used to have several recurring dreams and they were all disturbing. One that has affected my waking hours is where I dreamed I was crossing a bridge where the water was very close to the roadway and then started to come up over the top of it. I now very much dislike crossing bridges that are not well above the water. Who knows where these odd dreams come from? Are they from a memory, a premonition, a hidden fear? Lots of questions go unanswered. I have had 3 recurring dreams but not in a long time. When I was young I used to think that I had to go to the bathroom and couldn't find the door to get out of my bedroom. I would usually waken and really DID have to use the toilet on such occasions. 2nd dream was when I was in school and I couldn't find my locker. That was terrible plus I was not sure of where my classroom was. I was always a good student so this one did not make much sense to me. Never had such problems in real life. 3rd one that I loved! I was flying! I used to love those flying dreams where I would soar over everything (not in an airplane, you understand) and be able to look down upon everything. I miss those dreams. I'm lucky I don't have recurring dreams of any type. Yes, I'd be having dreams were I in your place in that spooky house. Dreams are a manifestation of our conscious thoughts that we do not pay heed to I presume. Nell, what a horrible experience! I am so glad you and your family got out of that place. I have a reoccurring dream that has gone on for many years. I understand what it means, but honestly I wish it would stop because it isn't teaching me anything, lol. Strange, just a few nights ago I had a dream and when I woke up I knew I had had it before, but since I didn't write it down I have now forgotten what it was! You seem to know your stuff, thanks for sharing yours! I don't think I could have spent even one night in that spiders-on-the-ceiling infested house, Nell. Your re-telling of that time in your life makes me feel creepy. Our dreams do often have meanings but we are really the only ones who can translate them. Hi Nell. Very interesting hub. I'm glad you've made some headway in understanding and dealing with your recurring dream, and hope someday it won't bother you anymore! I've had 3 recurring dreams in my life (that I remember), one when I was a kid, one over a period of adult years, and one more recent that still occurs sometimes. I think that one was born of hearing about teradactyls in science class. I didn't really believe in teradactyls then, and I don't now. So I think the dream was a kind of warning for me........a guard against false teachings perhaps. The second set of dreams was always about snakes. I hate snakes, am deathly afraid of them, and see them as sneaky and dangerous. I finally realized that every time I met a person who later had deceived me or hurt me in some way, that I had dreamed of snakes during those encounters. We can also solve problems via our dreams. It seems to be the time of less stress and no constant input, so things tend to be solved during rest. As you know, the brain never sleeps, so it always pleases me to know that I can work things through in my sleep. Our minds are amazing. Fascinating hub! Very insightful, especially since I've been having repetitive dreams about visiting my unsupportive family which never goes well in real life or in dream land. Voted up! 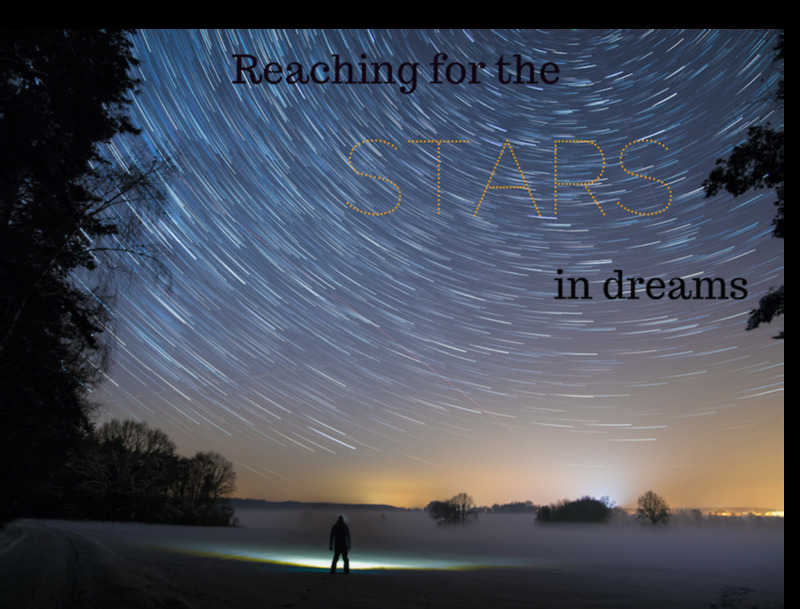 Second hub today on dreams I am going through....very interesting hub on recurring dreams dear Nell....I am book marking it so that can be read again ......I always like to know deeper meaning of dreams.....votes up interesting and shared across. I am very interested in dreams but do not know much about the subject. This hub is very informative. I do dream and have one recurring dream that I cannot figure out. I am wearing a hospital gown, barefoot and walking around a place that looks much like a war torn mash unit like in the tv series MASH. I am trying to find my way out but cannot. Even though it is my dream and I am dreaming it and I know the person in this gown walking around is me, it does not look like me. I would love to know what this all means. Love the hub and voted up! Dreams are a fascinating subject, and I suppose our dreams do have a meaning. 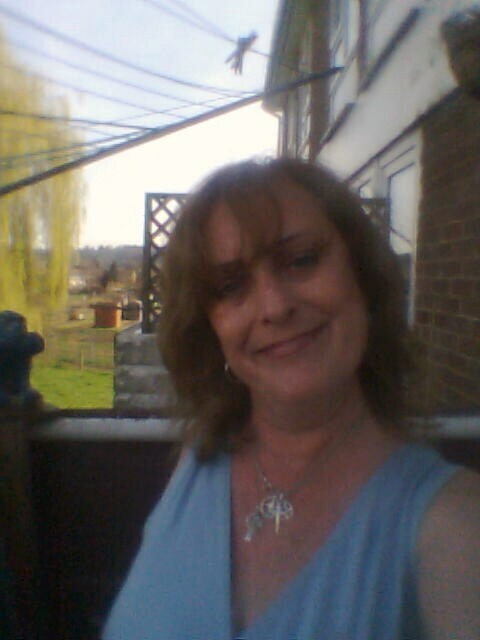 Hi Pamela, thanks so much, yes they seem to be easing off now, but that darn place was enough to haunt anyone! lol! Nell, it's ironic that the Philly house was the one in my dreams. I think the egg signified fear. My mom and dad divorced when I was 6. We moved from California to Pennsylvania, where my mother met my (step)dad. We moved to Philly when they married, which is where he is from. I think I feared change after the divorce and certainly after the remarriage, which is what the egg represents (it was going to crush me in my dream). Perhaps there's a little clairvoyance involved with regard to the bedroom layout? Hi Barbara, maybe the different rooms show a different part of your personality or different choices, and yes I know what you mean, the lottery? I wish! lol! Hi kislany, thanks so much for reading, yes the dreams can come back at certain times, its scary stuff, thanks! I do find myself having recurring dreams - maybe months or even years apart. But that doesn't make them less scary. Nell, dreams have always fascinated me. I think perhaps your recurring dream is a reminder to never again live that type of life where you feel trapped. When I was little I'd have the same dream every Easter Eve. I was lying in bed, facing the door and the narrow hallway leading to my bedroom. I'd hear a rumble and a huge iron Easter egg would start rolling down the hall towards my room. I knew it was coming but couldn't get out of bed - I was frozen. The dream stopped when we moved to Philly (I was eight). My room, the positioning of my bed and the hallway were exactly the same as in my dream. That first Easter I had the dream again. Once I recognized the setting as what was now true (without the giant Easter egg) I never had the dream again. But I'm sure I'll remember it until the day I die. I have a reoccurring dream about buying a huge house with so many rooms that you can get lost in it. Weird people are in different sections of the house. Usually people I knew that have since passed away. My husband keeps looking at expensive big houses online. I don't want a big house. This might be the explanation. He says he'll buy one if he wins the lottery. I'm not too worried about that happening though. I used to have dreams about ordinary day to day events that were scary because they would come true. I started actively asking not to dream for about six months. Now I hardly dream at all. Yes your dreaming is very interesting. I don't think I ever had the same dream over and over. I have had the same situation but never the exact same dream. Almost like a continuation of my dreams but that's it. So that is cool and I do not know what to tell you about this dream. I know the answer will be decoded soon. This is a very interesting hub. I used to have bad dreams night after night, but my life was pretty horrible at that time. It took quite a while for them to stop. Now, I rarely have dreams that I remember more than a few minutes and they are happy. I think our dreams do tell us things, even when we don't quite understant them. It seem you are right about what is behind your dreams and I hope they too will stop. I wish you a restful night. Sweet Nell. I gave my comment prayer and thought. God is not the author of confusion. He is love. God has given us authority in the name of Jesus to cast out the enemy of our souls. The enemy is already doomed to hell and he has already been defeated on the Cross at Calvary. Praise to God Amen. I am no expert by a long shot on dreams. I just know for myself what God can and will do for us. The enemy wants to distract us! There is no mistake you wrote this hub. I will pray for you sweet nell rose. In the name of Jesus the enemy must flee. Jesus is the light, the enemy is the dark. Rest in Jesus He so loves us. Call on Him precious sister. Love you girl. In Christ, Skye. Hi Maria, that sounds awful, if only you could remember what you had been dreaming about. and thanks so much I read a book much more now to go to sleep, sometimes I wake up with it still in my hand! lol! Hugs back to you too Maria, and thank you. Although I may wake up in a cold sweat or internally shaken, I can never remember the content of my dreams. I absolutely believe that our minds are working and processing on some level, day and night. You have done a masterful job of interpretation with your dream. I wish you peaceful times, especially when you are in dreamland. You are such a beautiful lady. I believe that in most dreams, our subconscious minds tries to communicate something we overlook in our conscious state. I've had recurring dreams and paid attention until they were resolved. Here's hoping that all your dreams have satisfying resolutions. Hi Martie, yes it is isn't it? loved hearing your voice by the way, great accent! lol! yes that's so true, that house has a lot to answer for! Hi Flourish, that sounds like a great idea! that must have been creepy! lol! I had a friend who lived in France, doing up an old house they found snakes too! Hi Faith, thanks so much, and yes it probably was something like that, or maybe your mind remembers a large friend chasing you, but its got all out of proportion! lol! Hi leslie, thanks for reading, I would imagine that was because at the time you were terrified it would go wrong and its stuck with you! lol! for any lines go to the google search just write in something like 'black or colored line dividers' then click on the 'Images' at the top. Its best to put the word free or public domain in front, okay? that way you can use them without having to add their link for copyright, okay? I am glad you got out of that house and I hope you can shake it's influence that is still in your dreams. Really interesting and thought provoking writing. I see different doorways in dreams quite frequently. It isn't scary but I know I need to wake up as I don't wan't to go through the doorway. Then I do wake up. Us humans are weird creatures indeed! Great hub. I would say that house with all its threats has made an indelible impression on you. It was in fact the realization of all your dislikes and fears. And it still is. Therefore the merest discomfort, or merest thought, registered or unregistered, of possible threats pull that house forward in your dreams. Excellent hubs about bad dreams!